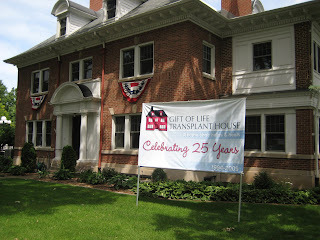 We are fortunate to be with a community of transplant patients. There are 42 rooms. This is the old portion that was originally a physician's home. It's quiet and clean.